We will be calling post release updates from now on Service Releases instead of hotfixes to match naming with platform. Really helps with planning for release cycles. on the Xamarin.Forms.Maps nuget package. Hi @JKay we have looked at the problem and we aren't changing our explicit requirement, we are updating to require maps 27 in the next pre release though. We analysed the problem and we think we have more benefits on requiring the specific version of google. The problem some users are getting isn't directly related with XF but will the IDE and the way the IDE is handling the packages. For now it seems more a XS issue, where if you have the 27 folder (for some reason) it will not downgrade or delete the 27 , you have to do it manually. And most of users aren't affected with the problem. @rmarinho Thanks for the update. That sheds more info on the problem and helps me understand. If anyone gets the issue for now they can look at the solutions in the bugzilla thread. I just got this in VS2013 (SP5) when trying to update to 2.0 SR1 (see attached). @NMackay This is the exact bug that I reported. I hope you have your trainers on. because you're about to do a lot of jumping through hoops. Give it the old Clean, Close, Reopen and Rebuild. I appreciate you post, I was half way through before I saw it. I manually uninstalled Forms and Maps, restarted Visual Studio to make sure they were away...removed it again, nuked the packages folder apart from packages.config. Restarted VS, restored packages, installed Forms in PCL then Droid and iOS via console, same order for Maps and it worked fine, it installed GooglePlayServices.Maps V26 not 27. XamlC report that there's no settable property for CachingStrategy, which is actually totally true. Even if it doesn't fail when XamlC is off, do not expect the CachingStrategy to be set according to what you expect. I thought you could set the caching strategy in Xaml, can't see the property in intellisence. XamlC breaks my Listview so wanted to change the caching strategy to see if that was affecting it. Yikes another project upgrade went awry, I didn't have maps so just updated via nuget UI, even though all references to forms resolved it wouldn't compile. Open and recompile and it all works. Wouldn't recommending updating in the usual way, leads to a world of hurt as @JKay said earlier. Hello. Xamarin I updated to version 4, Forms and 2.0 versions. 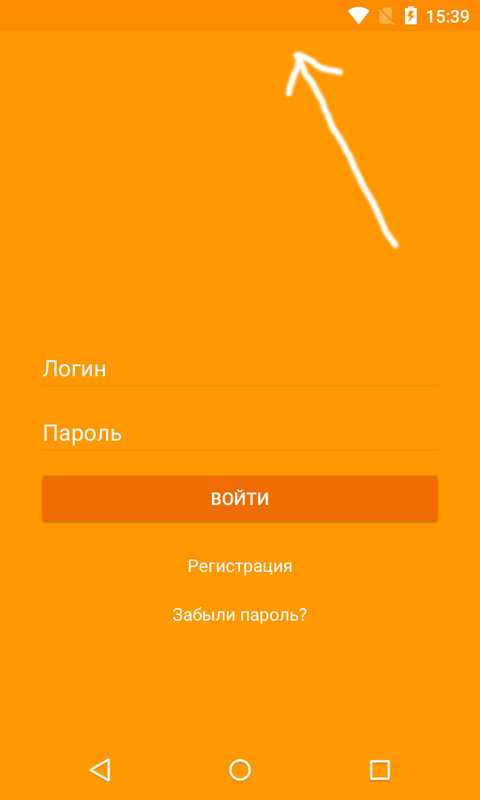 On Android, I use AppCompat. I had a problem. 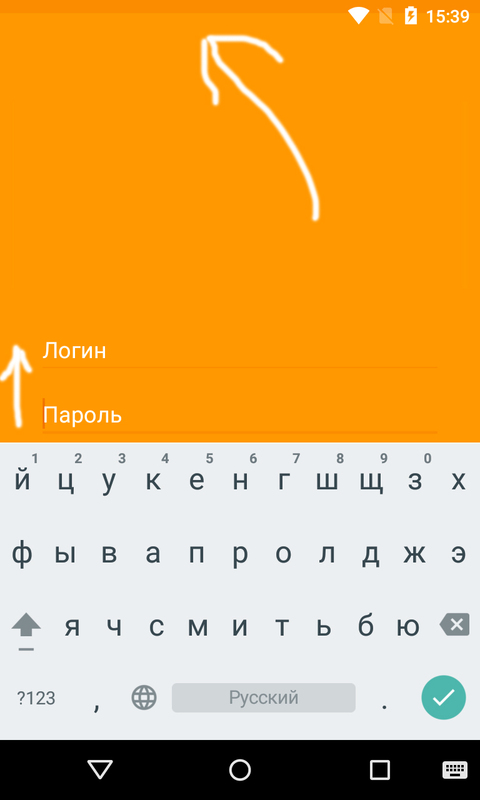 Previously, the Android keyboard caused resize view. Now this does not happen. The keyboard appears on the top view. And the desired Elements to be hiding. If somebody changes the property too late (when the renderer has been instantiated), then you can still just ignore it or throw an exception. @MichaelRumpler you get it wrong. There's no settable property, internal or public. That syntax is a shortcut for the x:Argument one. Unfortunately the ParameterAttribute is also internal so we can't use it in our own subclasses of ListView either (if that would be enough to get the Xaml work - I didn't check that). On UWP the app crashes when an Editor has focus and the back button is clicked. Thanks @MichaelRumpler , already found the problem. @rmarinho have you never seen a Community better than this? Please provide the full version on NuGet in the next Service Release Notes so that we know that Service Release 1 = version 2.0.0.6490. Does the service release on droid fix the issue that we use v27 rather than 26? you must use GPS 26.0.0, the next version of Forms will also pin the base package because of bugs in the GooglePlayServices packaging (we shouldn't need to do that). Hi guys please make sure you try out 2.0.1-pre1 on your project and point any issues you have / bugzilla links specific to failures on that version on the respective thread for 2.0.1-pre1 . It used to work hence I lost a few hours tracing this down. @NMackay : this looks very strange to me, so I tested it. XML comments are correctly skipped with or without XamlC in. And that's to be expected as they are skipped at the XML parsing level. Could you please share your smallest sample triggering this issue for you, so we can track what's going on ? It is compiling with comments now. I commented all the code out till I only had the ContentPage definition and it was still happening, it was only when I stripped the comments that it compiled, deleting obj & bin and %temp% folders made no difference. I'll keep an eye out for it as I know what to expect and if I ever see it I'll send you the Xaml. Do you know when will be the next pre-release will be available? Have the bug here with Xamarin Forms Maps and Android. 6.- Back to the first ContentPage the user tries to push again the button that fires the method of the messaging center, the method is fired but no displayAlert is shown. Am I doing something wrong? Is it a bug? Am I going to have dinner with my family this christmas? Another thing I noticed is when the SecondPage is pushed the First Page constructor is fired again, is that normal? when you press the back button, the contructor of the previous page will not be called, since the page is still in the navigation stack. @DirkWilhelm I took first option and it worked! Thanks a lot! now let it snow! 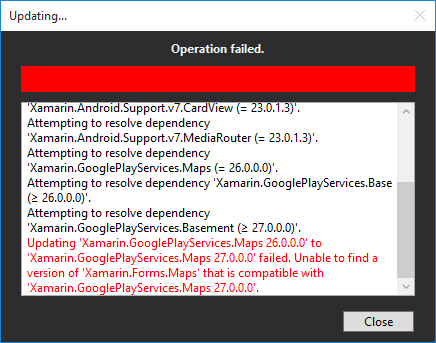 Is anyone else experiencing problems with Xamarin.Forms.Maps on Android 6 devices? @JKay For me I didn't get it working too. I read here in the forum from one Xamarin Developer, that with the new pre release the problem with googleplayservices is solved. @FokkeVermeulen Good to hear its not just me. Would be good for someone from Xamarin to confirm this is an issue they know of.